I’m excited to share with you that we have launched our new website – www.ebenezerscharlotte.com. This new site is our official landing pad to share the vision, receive online donations and keep everyone up to date on this incredible journey. I love you guys and appreciate all of your prayers, support and enthusiasm. 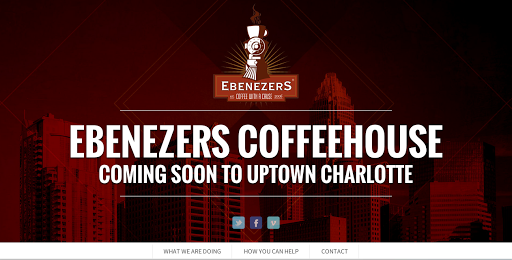 Let’s tell the world that Ebenezers Coffeehouse is coming to Uptown!